Travel Sacred France: Join us on an empowering, inspirational spiritual adventure to the sacred sites of France – a timeless wonder which feeds your soul as you journey in search of Mary Magdalene, Black Madonna, Knights Templars, Cathars and mystical Lourdes, Chartres and Paris. We invite you to join us on this spiritual, inspirational and transformational journey to France where we experience a land steeped in mysticism, the lore and tradition of Mary Magdalene, the legends of the Holy Family, the Black Madonna, The Holy Grail, Cathars, Knights Templars and the healing power of Lourdes and its water! 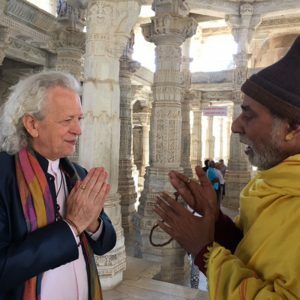 This is a journey of a lifetime, a life changing experience where you feed your soul in one of the world’s most sacred destinations. 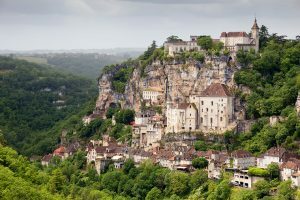 This France Sacred Sites & Ascension Tour is a spiritual journey of ascension and awakening to that still inner voice and the golden flame that dwells within your heart. Each day we will experience sacred ceremonies, discussions, and meditations which will serve to deepen your sacred connection. On this sacred journey you are being asked to feed your soul as it awakens to the many wonders of the miraculous and the mystical. 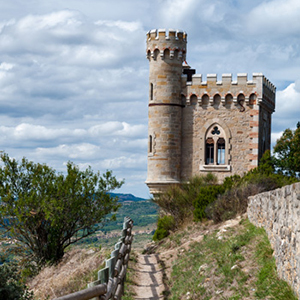 On our France Sacred Sites & Ascension Tour we will experience the timeless wonder of being a pilgrim, one more unique than the ordinary traveler. As pilgrims, we share in a special journey as we weave a tapestry of group consciousness/Oneness. Pilgrims are humble, open to unique people and experiences in this great land of enchantment. Journey through the sacred destinations of France on a mystical 15-day spiritual adventure, beginning in Nice and ending in Paris, through a land rich in tradition and the lore of Mary Magdalene with Finbarr Ross. Finbarr is a facilitator on Mary Magdalene and the Grail legends. Absorb the energies of this ancient European culture and its Celtic roots, where later Christian, Gnostic, Jewish, and Muslim traditions recognized the ‘Sacred Feminine Ethos’ with equal enthusiasm. Although you journey within the 21st Century, you will discover the threads of universal consciousness that feed your soul and predated Christianity still alive today. You will experience many wonderful power sites held sacred by those who have sought the Holy Grail, the presence of Mary Magdalene and Black Madonnas including: Rennes-le Chateau, Grotte de Baume, Maries de La Mer, Arles, Carcassonne, Montségur, Collioure, Lourdes, Rocamadour, the mystical Languedoc. 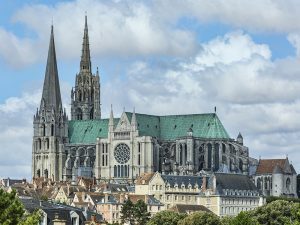 Visit Chartres Cathedral, and Paris with its many mystical sites, for a 15-day spiritual journey to some of the world’s most sought after sacred destinations. 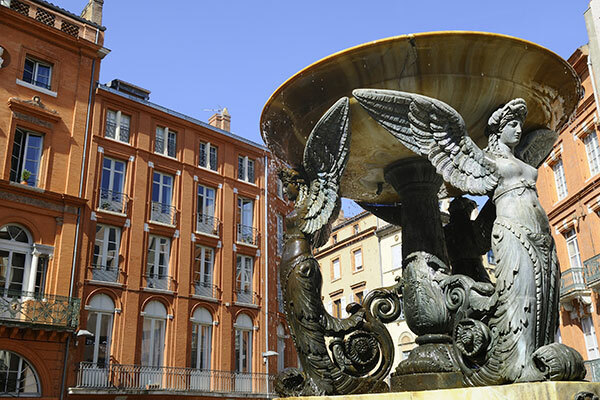 We begin our France Sacred Sites & Ascension Tour as we depart Hotel Vendome in Nice. 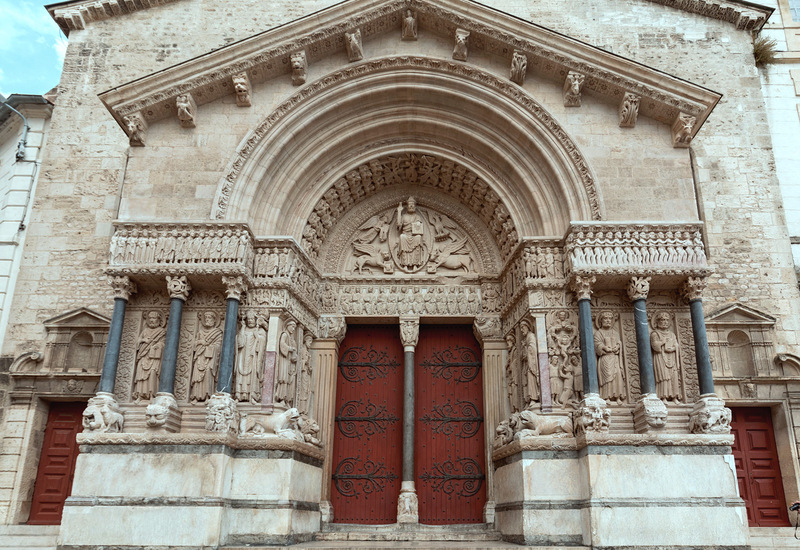 We will journey to St. Baume where we will feel its essence and experience a wonderful chapel with Mary Magdalene and its frescoes as we connect with Mary Magdalene. Next, we'll experience the Grotte de la St Baume. 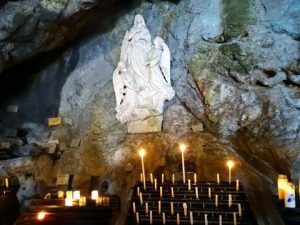 Be prepared for a forty minute ascent to approach this mystical cave with all its transformational energy and sacred water where the Magdalene is said to have done water initiations and to have passed the last years of her life and written her memoirs. Feel the mystery of this special mountain which was and is sacred to Isis and has been considered holy ground for thousands of years. The natural water that accumulates here is believed to have miraculous healing powers. Here we will participate in a Magdalene water initiation. Our France Sacred Sites & Ascension Tour continues as we experience a walk around Arles, which contains wonderful monuments and remains of the highly developed Roman Empire. These were contemporaneous with the Grail family's arrival in this region, approximately 2015 years ago. We will visit St. Trophimus Church with all its mystery, and the Church of Mary Magdalene; starting points of the journey to St. James in Compostela. There was also a major Templar stronghold here and the ruins of the commandery still stand. Noon departure for Saintes Maries de la Mer to visit the basilica associated with the mystery of the arrival of the Grail Family from Palestine, with its holy well, and to meet the most beautiful and powerful 'Black Madonna', revered by the Gypsies of Europe as St. Sarah and much, much more. In the Basilica there is a sweet water well along with the relics of Mary Jacobe and Mary Salome along with some amazing vortexes. We continue our France Sacred Sites Tour with an early morning departure for Carcassonne where we spend the day exploring in the Old City of Carcassonne, a unique example of a fortified medieval city, known for its Cathar beliefs and history. 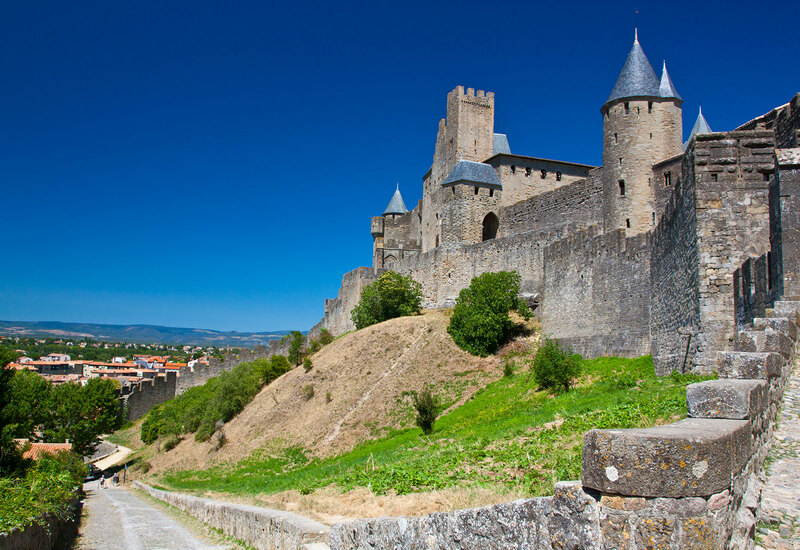 In ancient times, Carcassonne was a major commercial and ceremonial center for the Druids and the Phoenicians. We will visit the Basilica of Saint Nazaire with its vibrational energy and connection to Mother Mary, Saint Rock, a beautiful energetic sculpture of Mary and Anna, and another sculpture showing the filtering of the energy streams of consciousness. 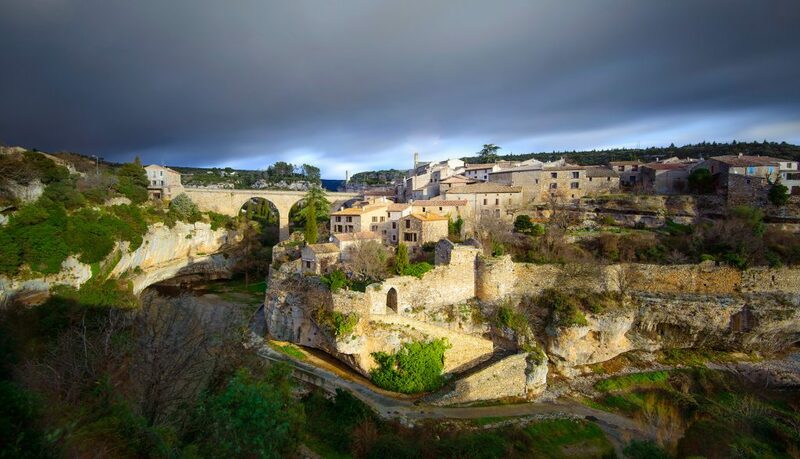 We depart Carcassonne and journey to the small, unchanged town of Minerve, the place of Cathar burning where 150 'Parfaits' were burned as heretics on the feast day of Mary Magdalene in 1210. This is a very transformational experience for many people as we immerse ourselves in meditation and on the Cathar Prophecy of 1244. 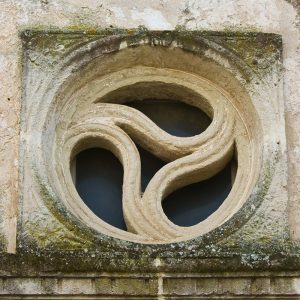 Next, we will experience the Dove of Minerve, the village church, Cathar Museum, and the beautiful art colony at Aigne, the tiny one thousand year old “snail village”, which was built, consciously and purposefully, in a spiral. We will tune in to its unique energies and experience a very special medieval church where a beautiful Black Madonna was found in the wall in the 18th century. Today, our France Sacred Sites & Ascension Tour takes us to see many spectacular sacred destinations in France. We will begin the day with a trip to Montségur, Cathar seminary and citadel of their last resistance. In May 1243, in order to appease the pope, the King of France instigated a ten-month blockade of Montségur. A fifteen-day truce was negotiated in March 1244, at the end of which the Cathars had to choose to either, renounce their faith, or perish at the stake - 220 Cathars chose death on the pyre. 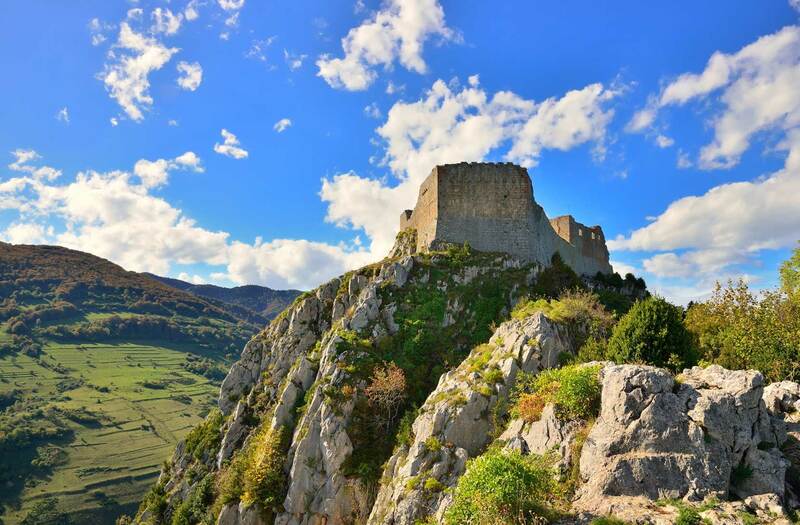 Montségur, a sacred mountain, is a place of inspiration, learning, balance and unity consciousness for the Cathars. To reach will Montségur, we will ascend for approx 45 minutes on foot; a crowning achievement for an unforgettable adventure. Though Montségur’s ascent might seem difficult, it is a pilgrimage worth attempting for those who are physically able. Montségur is the eternal symbol of Catharism and “The Church of Love”. 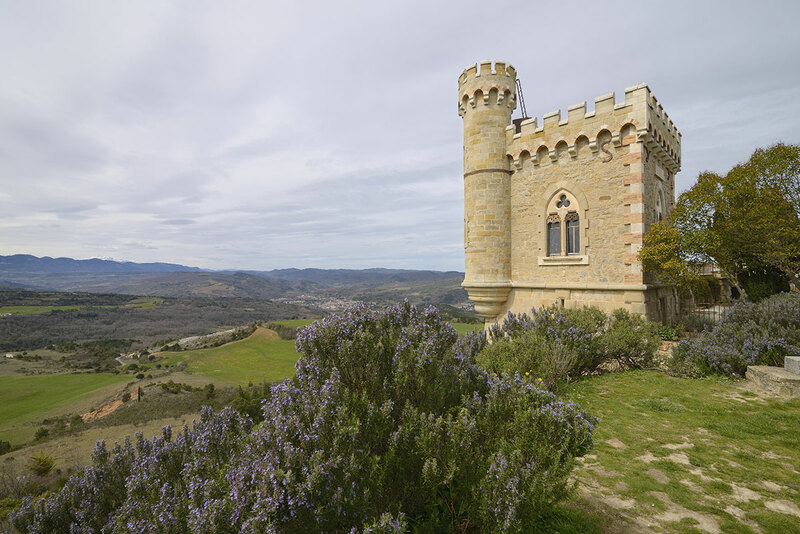 After our time at Montségur, we will travel on to Rennes le Chateau, former Visigoth capital of the region, to visit the famous church of Abbe Sauniere's Villa Bethania. We will tour the church, museum, gardens, and the environs of Magdala, and absorb the atmosphere of this ancient, mystical place with its hidden mystery depicted in symbolism. 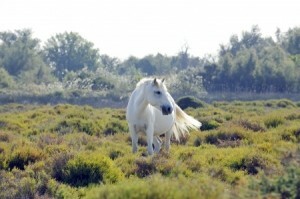 We will visit and experience the Arques, Mount Bugarach, the Goddess Chair and the source. Here, we will experience a ceremony and meditation which takes deep within ourselves. We will continue our tour with a journey to a very beautiful Black Madonna and Healing Well in Limoux. In Limoux, we will experience ancient wisdom in all its glory as we enter into a world of mysticism. 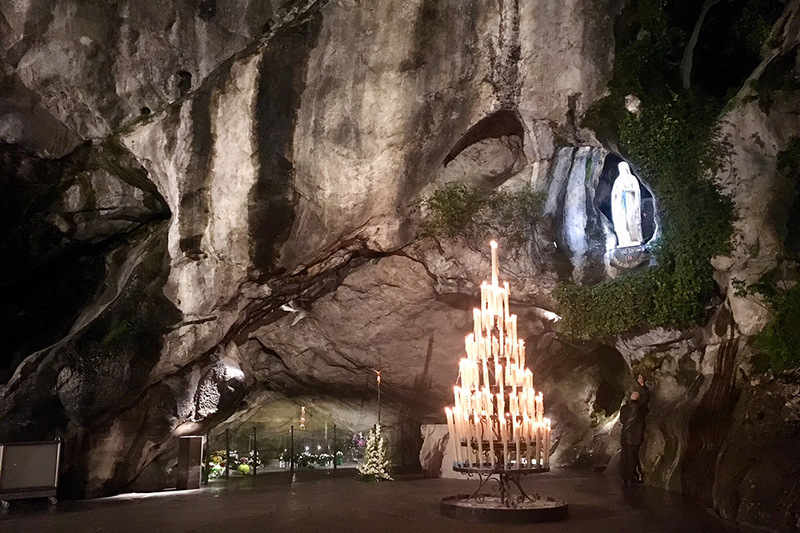 Our France Sacred Sites & Ascension Tour continues with a morning departure to Lourdes, arriving there in the afternoon. Here, we will immerse ourselves in the magic of Lourdes with its miraculous healing waters. We will bathe in its waters and allow ourselves to be held in the arms of the Divine Mother. At 9:00 p.m. we will have a mystical and transformational visit to the Lourdes Grotto and its sacred healing water. At noon today we will depart Lourdes for Rocamadour! Today we continue to enjoy Rocamadour with it magical Black Madonnas and its mystical places, as well as free time for shopping. We depart our hotel early to fully experience Chartres Cathedral, with a history dating back to the 4th century. 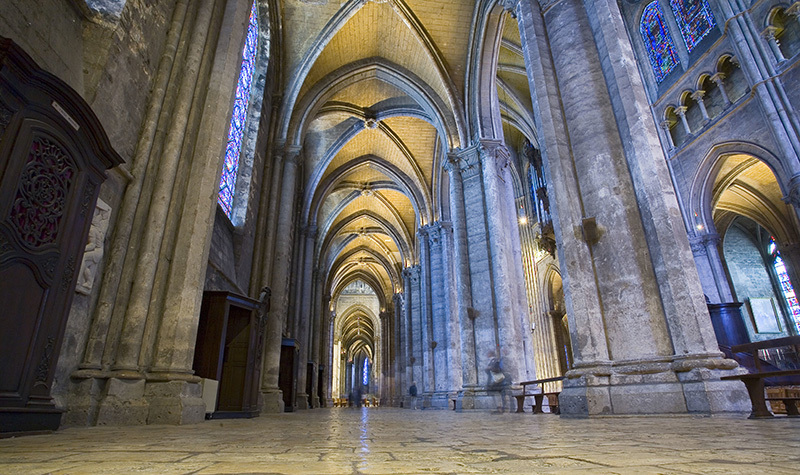 Chartres Cathedral was erected during a time of religious peace brought about by the Emperor Constantine. 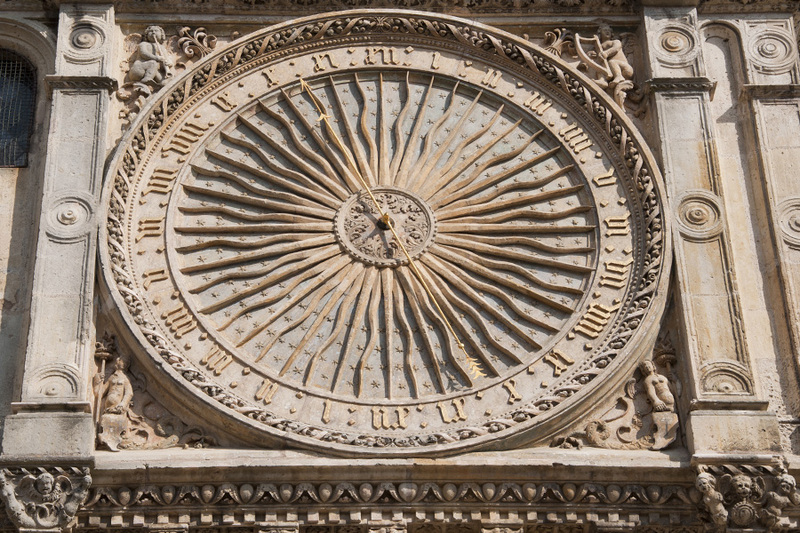 Chartres is rich with mysterious sacred imagery and sacred geometry and is said to be encoded with the secrets of the universe. It was established on a hilltop, where a sacred forest once stood. A well beneath the cathedral was sacred to the Druids and is said to be a miraculous source of healing water. 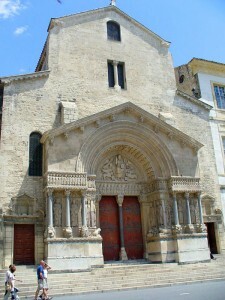 It is said to house the tunic of the Blessed Mother, the Sancta Canisia, since 876, when it was given by Charlemagne after he received it as a gift from Jerusalem. The Cathedral today is one of mystery and majesty. It is a holy place of rare architectural beauty, with its 160 stained glass windows, crypt, labyrinth, and unique silhouette above the landscape. 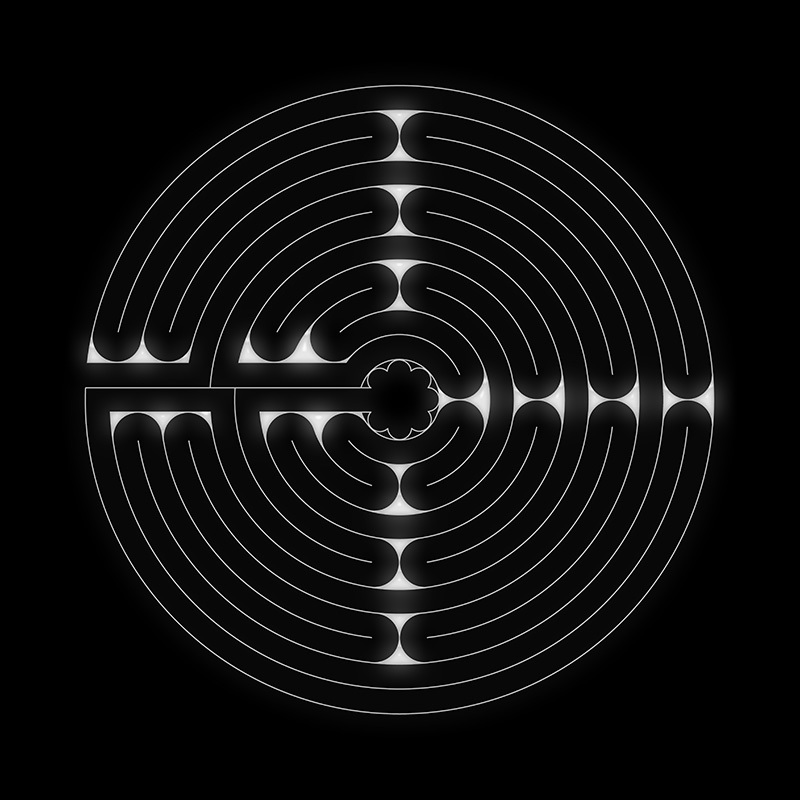 The standout feature at Chartres is the labyrinth, installed into the Cathedral floor in the year 1200. 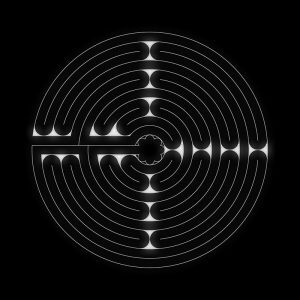 Finbarr will explain the history of the Chartres labyrinth and address the path of enlightenment that is opened to us via the 11-circuit Chartres labyrinth. Free time to explore and ponder on your own. 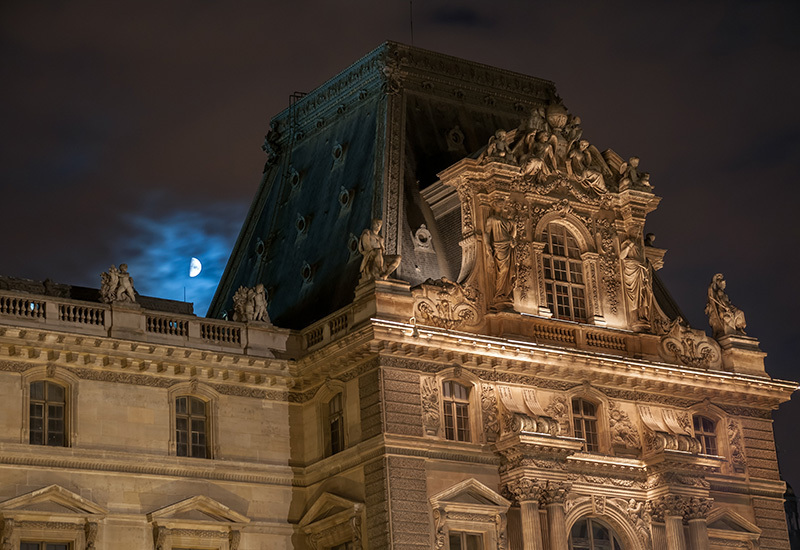 Our Chartres/Paris Extension continues today with an early departure to Paris where our hotel is splendidly located close to both the Louvre and the lovely River Seine. 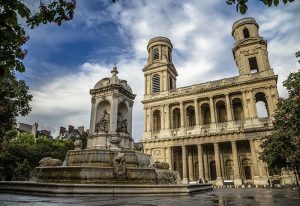 We will travel to the Left Bank to the historic Church of Saint Sulpice in search of "The Magdalene Line" and much more, including clues to her children. 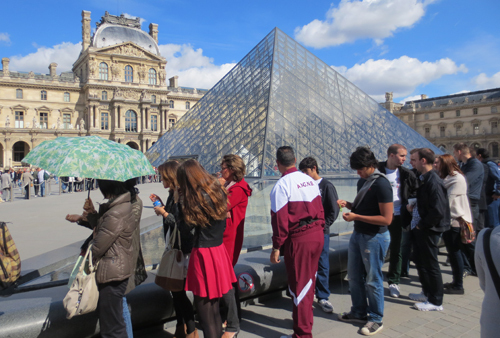 Next, we'll visit the Louvre, to view the paintings associated with Mary Magdalene and the Grail legends. 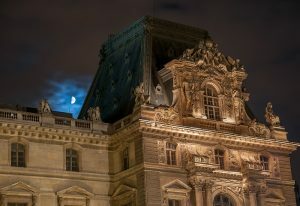 We will have free time to explore this world famous museum on our own and/or shop its gallery stores or the adjacent Carousel du Louvre mall. Today we depart for our home city, or continue to explore Paris, grateful for all we experienced on this sacred journey.